Still using your Emerald theme. 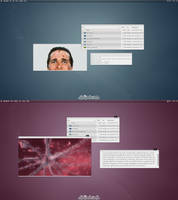 Hey there, what is the widget you have at the top of your desktop? Great job! I actually love this!!! seems that this conkyrc won't load on the version of conky that is provided by the oneric ocelot repositories. Someone who has ptzero's openbox port of this theme, could you please upload themerc to pastebin or something..
What font are you using? Has it accents? 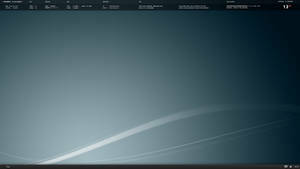 The systemfont is Sans 7 and the font in the wallpaper is called NeoSans. They have accents i think. 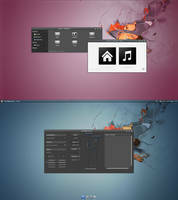 Great, love it, but can you make another version, with darker menus, and other backgrounds? 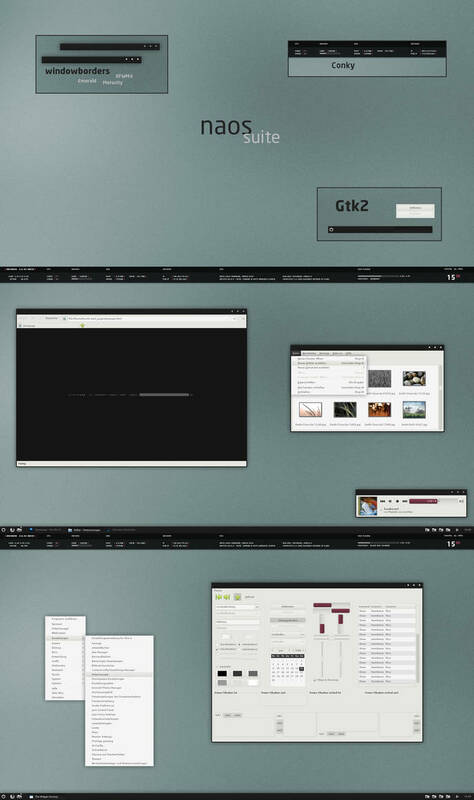 That's a real nice GTK Theme, thanks. The archive contains a folder called "conky". Copy the contents of this folder to ~/.conky and start conky with "conky -c ~/.conky/conkyrc-naos". Yes, this folder isn't there by default so you have to create it. 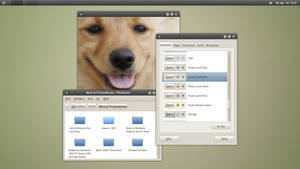 It's just easier to put all files related to conky into one folder. 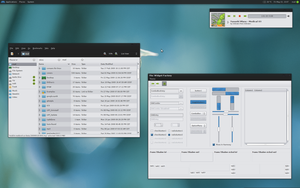 You can also put the files in your home folder and start conky with "conky -c ~/conkyrc-naos". Ja, sieht wirklich sehr schick aus. Ich verlinke den Port, wenn es dir nichts ausmacht. 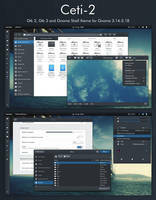 Can I have openbox theme? That link is not available. what application is used to show progress bars, check marks etc? It's called "The Widget Factory". Please fix this, when you can. 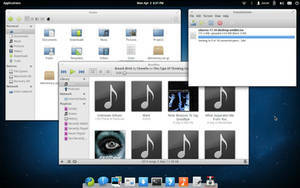 You have to copy the theme folder to /usr/share/themes for system-wide use. 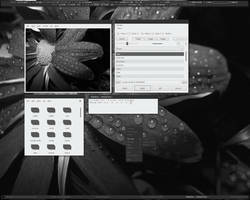 What you are experiencing does not seem to be a bug in the theme itself... Synaptic is being run as root and is not theming properly, there are different ways to fix that. Is there a way to change the scroll bars to grey so they match the rest of the theme? Yes, you have to open the gtkrc file. 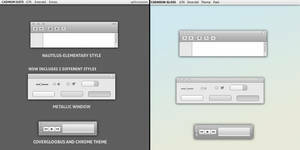 Then add bg[SELECTED] = @selected_bg_color to the section style "scrollbar" and save the file. Yes, i already know this bug. The archive has been renamed after upload, i don't know why. To fix this just add .tar to the unknown file. Thanks I'm glad you like it. 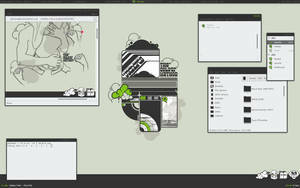 And a theme for openbox is a great idea. looks great...but after 2-3 days of use i noticed that it brakes OpenOffice suite, ooffice opens and closes instantly with no errors, when i go back to the default them (ubuntu 10.04 x64) ooffice works properly. Could you fix the ooffice issue,pls? Hm, strange. I can't reproduce that. Could you post the output when you run Open Office from terminal? 10.04 LTS drives me crazy...i cannot realy reproduce the ooffice issue, works fine now.